If you are looking for a classic, yet stunning, ball gown than look no further this classic Royal blue gown. 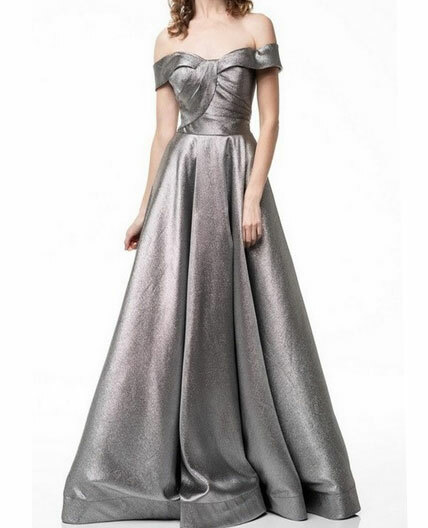 The full skirt and A-line cut creates a beautiful silhouette detailed with a plunging neckline. Keep your lip-gloss and cell phone nearby with pockets effortlessly located at the hip.